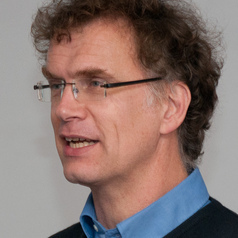 After his PhD in the Netherlands, Eerke Boiten worked at the University of Kent as a computer science researcher and academic from 1995 to 2017. His work was initially in formal methods, and included a monograph on Refinement in Z published by Springer. He branched out into computer security 10 years ago. He set up and led the University's interdisciplinary Research Centre in Cyber Security, which achieved the EPSRC/GCHQ accreditation as an Academic Centre of Excellence in 2015. Looking beyond just his own discipline, Eerke developed an interest in the policy sides of data, starting from a perspective of technical realism. He engages in public debate in this area, including on privacy in general, and was a reviewer for the Nuffield Bioethics report on Biological and Health Data in 2015. In April 2017, he moved to the Cyber Technology Institute at De Montfort University to take up the role of Professor of Cyber Security. His current research projects are in ransomware, cryptography, privacy impact assessment, refinement and cyber intelligence sharing. University of Nijmegen, NL, dr.
University of Twente, NL, ir.